Abhinaya Dance Company of San Jose will stage the unique presentation in Oakland on April 27. If you live in the San Francisco Bay Area, you may be having enough encounters every day to witness an amalgamation of East meets West culture. But, sometimes, certain presentations so strongly and so vibrantly merge two powerful stories that it is hard to give them a miss. One such performance will be staged by the Abhinaya Dance Company of San Jose on April 27. Abhinaya, one of Bay Area’s popular South Indian classical dance companies, will perform I Have A Dream: Stories of Rosa Parks and Martin Luther King, Jr. The main highlight of the show is that it will be portrayed in the Indian classical dance form Bharatanatyam. I Have A Dream: Stories of Rosa Parks and Martin Luther King, Jr. is a re-staging of excerpts from Abhinaya’s performance Stories of Justice, presented last November in San Jose, and features an opening number titled Gandhi’s Inspiration. It will be held at Oakland Asian Cultural Center, 388 9th St. Suite 290, in Oakland on Saturday, April 27, at 4 pm. The show is directed by artistic director Mythili Kumar and the performance depicts the non- violent resistance strategies of Martin Luther King, Jr. and seeks to demonstrate that the fight for social justice is ongoing and that past struggles provide lessons that enable us to confront our current problems. 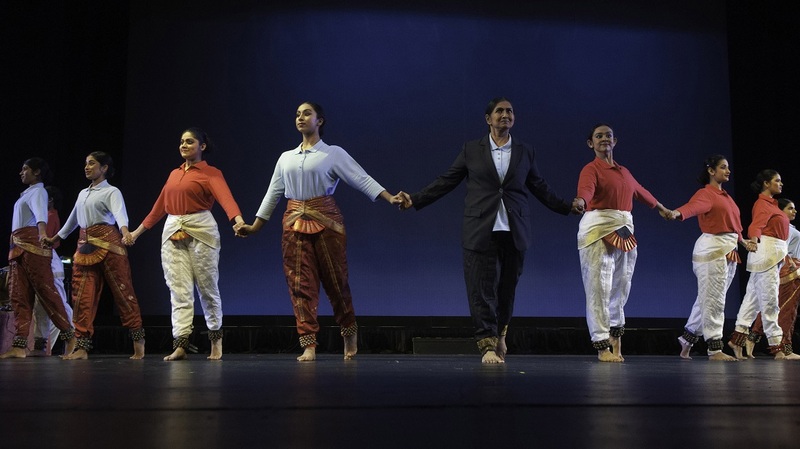 Abhinaya dancers will dramatically portray key protests in King’s life, where he emphasized the principle of non-violence, deriving inspiration from Mahatma Gandhi’s resistance movement against the British in India. Acclaimed choreographer and dancer Rasika Kumar will present her solo on the life of Rosa Parks. Abhinaya will tell these stories by employing the stylistic vocabulary of Bharatanatyam, a dance form that originated in the Hindu temples of India over 2000 years ago.